R: How does it feel to put out a solo project with your band, The Sixers, on hiatus and what are the biggest differences you’ve encountered when it comes to executing a solo project versus a full band project? SK: Well…it feels good because I love writing songs and sharing them. The hiatus was a decision motivated by some of the guys in the band needing to do other things, but it wasn’t my call. I love everyone in the SK6ERS and I wouldn’t want to push them into playing through their instinct to pause, even if I could (which I couldn’t). Because of that, breathing an album like “Blunderstone Rookery” to life feels like a major victory. The vehicle through which I’ve shared my music for almost a decade was broken and my ability to get these song out was momentarily threatened, so it feels like a real triumph over adversity, to push through and continue making music. As far as the differences, I think the key there is that it’s no longer a democracy and while that can feel lonely, I like it 90% of the time. R: “Blunderstone Rookery” is your first solo release since 2002. How would you describe your growth as a songwriter between then and now? SK: I’m still the same at my core, but I just have so much more experience and that really helps with songs. When you’ve felt what it’s like to sing a song that’s go not chorus in front of an audience, you’re highly motivated to start writing a stronger chorus. R: What are you most excited about with the impending June 18 release coming so soon? SK: I can’t wait for people to finally hear it of course. I’m excited for it to find its way into the hands of the people that want and/or need to hear it. It’s always so important I think to manage one’s own expectations. As Eleanor Roosevelt said, “Comparison is the thief of joy,” and so often we make a great deal about the first few weeks of a record and how well it sells, etc. The way I look at it is, this is one piece in a body of work that will span my life, and I’m excited to see it start doing its thing, but I don’t get really excited about numbers on way or another these days. SK: Leaving a positive legacy for my family is my hope for life. Imagine if that were everyone’s? It would be a pretty awesome world! Although I’m sure lots of us would have very different versions of what a positive legacy was exactly…but to your question, I do think so yes. “Ingrid’s Song” was the eulogy given by me at my mother-in-law’s funeral, “Men and Women” is for everyone…yeah, I do. I try not to say things I don’t mean and there is a lot on “Blunderstone Rookery” that I mean from the bottom of my heart. 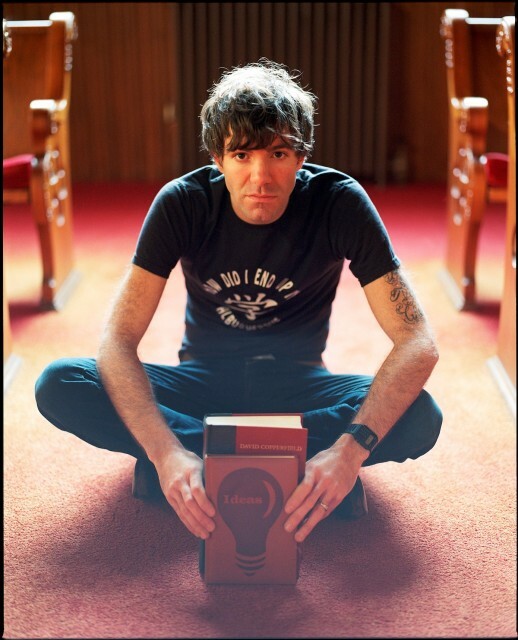 Stephen Kellogg will be playing a sold out show at Jammin’ Java in Vienna, VA on Monday June 10 in support of his new solo album “Blunderstone Rookery” which will be released on June 18.